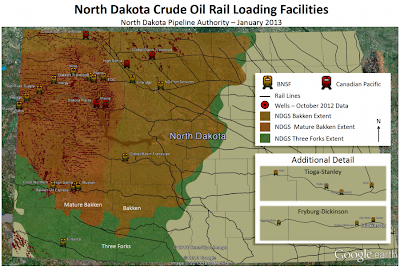 Rail Loading Map...The North Dakota Pipeline Authority has released a new map that indicates the locations of twenty-two crude oil loading facilities in North Dakota (see link below). 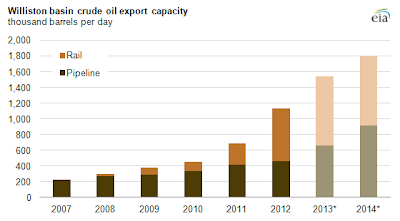 The capabilities of the facilities range in size from a handful of tank cars to 100+ tank cars loaded per day. The map also includes an outline of the Bakken and Three Forks formations and all active wells from October 2012.